I was recently promoted to associate professor in an urban private medical school. After celebrating, I had to acknowledge that although I love my current scientific community, the prohibitive cost of city living as the parent of two school-aged kids has meant that I live in a suburb and commute three hours a day between home and work. I have been reasonably successful in competing for NIH grants, and through collaborations with clinical colleagues I have raised research funds from private foundations established by grateful patients. But as I was looking ahead to continuously needing to raise the majority of my salary and support for my research from grants as well as enduring a long daily commute, a colleague from a non-urban state university medical school asked whether I would consider being recruited to his highly regarded department. After I visited and gave a seminar, it was clear that his department has excellent science and provides a superb research environment with excellent resources and a collaborative tradition. In addition, the majority of my salary would be supported by the institution and my commute could be as little as 15 minutes in each direction. I received a contract offer, negotiated amicably on several issues, and have signed the offer letter. During this process, I did not go to my current chair to ask for a retention offer because I didn’t really want one. My decision was based on lifestyle and a chance to continue my research without the constant fear of losing support for my lab and my salary. My question: Can I send my chair an email telling him of my decision? Or do I have to talk with him in person? Requests for meetings with him have to have a specific topic: what should I say is the topic? Also, did I make a mistake by not talking earlier to the chair about this potential move? Although I have been told that bringing the new offer to your current chair can improve your offer even if you have already decided that you will leave, I feel that this would be a waste of valuable time and effort by my chair. 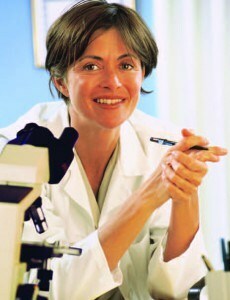 Labby congratulates you on your success in building a career as an investigator in a challenging economic time. To have a well-supported research program and care for two children despite a three-hour commute is an awesome accomplishment. How wonderful that, in your new job, you will be able to continue to grow as an academic scientist with less stress in juggling work and family. Yes, you could have obtained a counteroffer to use in negotiating with the recruiting institution for an even better package. This is a common practice, and your chair knows it. Although you missed that opportunity, Labby encourages you to tell your chair that because this was largely a lifestyle choice, you didn’t want him to waste his time and political capital on preparing a counteroffer. He may be grateful for your consideration, and it gives you an opportunity to assure him that there is nothing about your department that is driving you away. Remember that this meeting will also be your chance to thank him for all the support you have received to get to your current career stage and to let him know that you will be a spokesperson for the virtues of his leadership and the institution. Move into your new position comfortable with the knowledge that your excellent work makes you a valued colleague. Leave your current position with warmth toward your colleagues and the institution that helped you develop your career. Your departure also highlights to both institutions the importance of a healthy lifestyle in faculty retention.